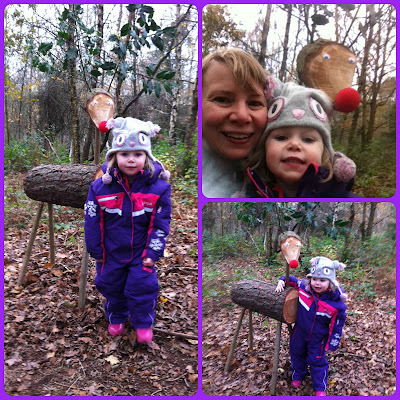 We're just back home from a really enjoyable morning at Black Park Country Park making the most of their Christmas activities. 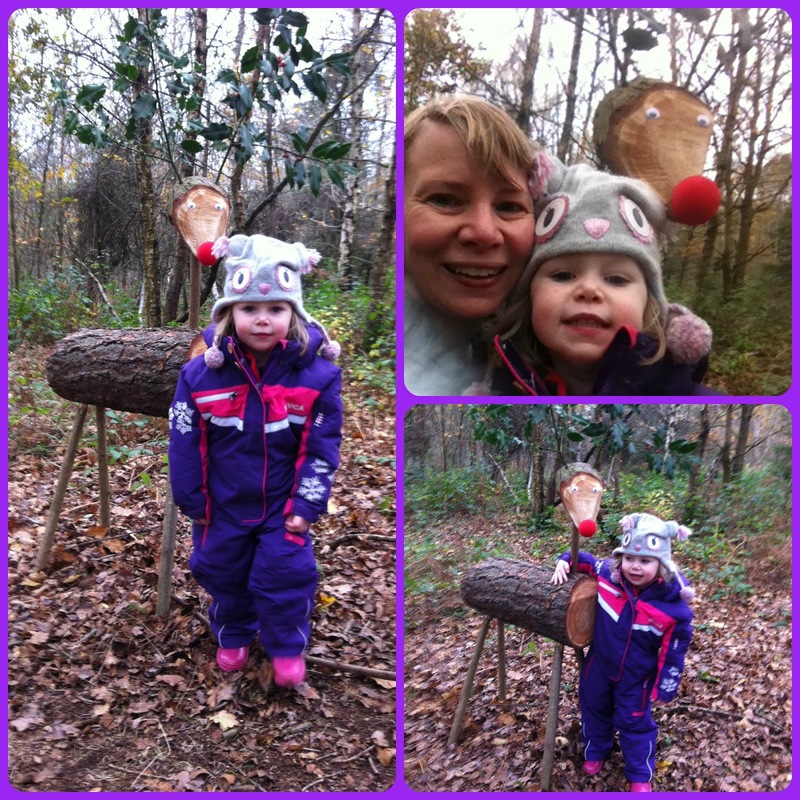 The main thing I wanted to do with Little Miss A was the Reindeer Trail. I thought it was going to be like the Dinosaur Hunt that we did back in October, but it was actually set around a different part of the Park and instead of just pictures attached to the trees, there were reindeer sculptures to find which were brilliant! I loved their holly antlers! First up was Dasher, Dancer and Prancer. 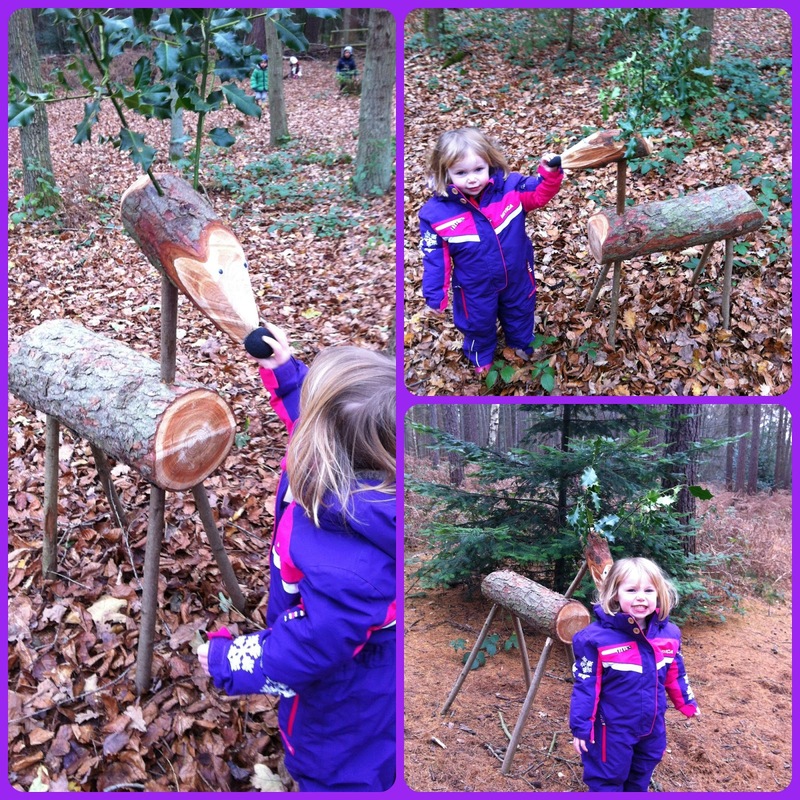 Then we found Vixen, Comet, Cupid, Donner and Blitzen. 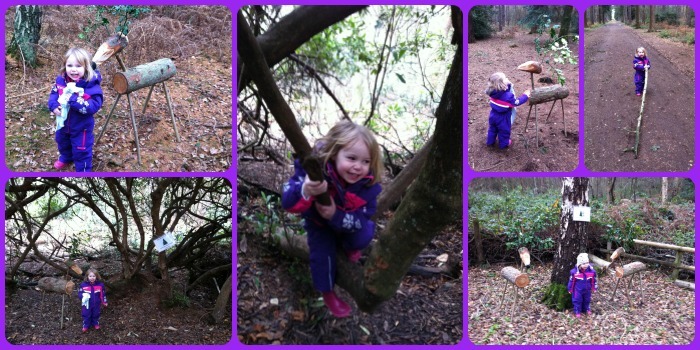 We also managed to do a bit of tree climbing and carry a huge stick as we made our way around the Trail! Before finally finding the one with the red nose - Rudolph! There was a Trail Map with instructions and you had to write down the names of the reindeer along with the lines to a Reindeer Poem posted on a tree next to each reindeer. Once this sheet was complete, we went back to get Little Miss A's prize! I'm amazed I managed to actually get a photograph with each one, but I kept telling Little Miss A that Daddy wanted to see the pictures of them all so she actually posed! Therefore our next stop was to pay Daddy a visit at work to show him the photos and share the prize. Along with the Trail, there was also a Santa's Grotto, petting zoo and a few stalls. 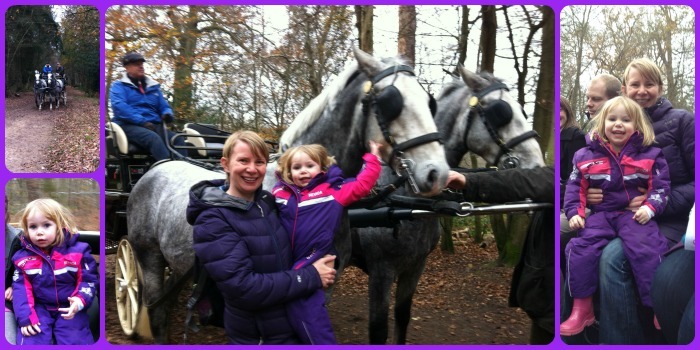 We didn't visit Santa in his Grotto on this occasion unlike last year but instead I took Little Miss A on the horse and carriage ride which she really enjoyed. Unfortunately the activities were only on at the Park this weekend and last weekend, but it's worth making a note for next year!